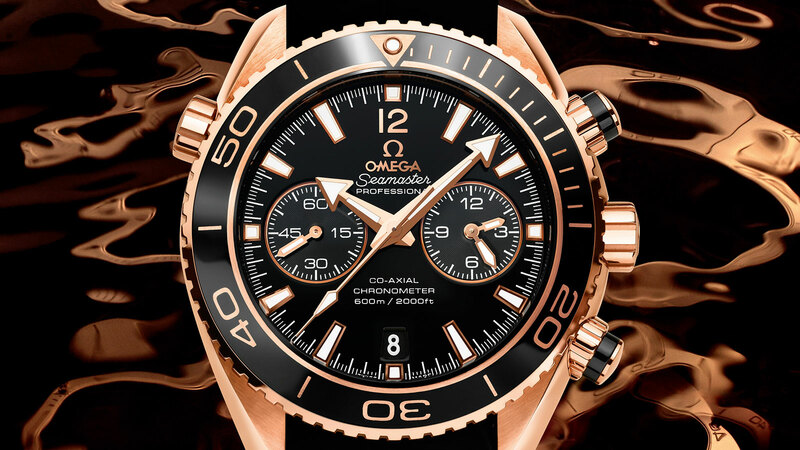 With this OMEGA Seamaster Planet Ocean 600M Chronograph Ceragold, OMEGA has paired its rich maritime legacy with its tradition of unparalleled quality and innovation – two brand-defining characteristics. 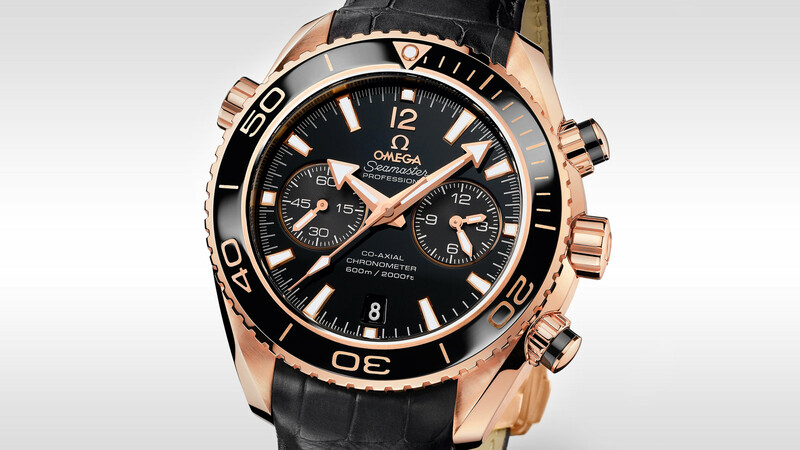 This chronograph model features a black dial with a date window at the 3 o’clock position and a scratch-resistant sapphire crystal. The dial presents a small seconds sub-dial, as well as 60-minute and 12-hour counters on one dial for intuitive reading of elapsed time. 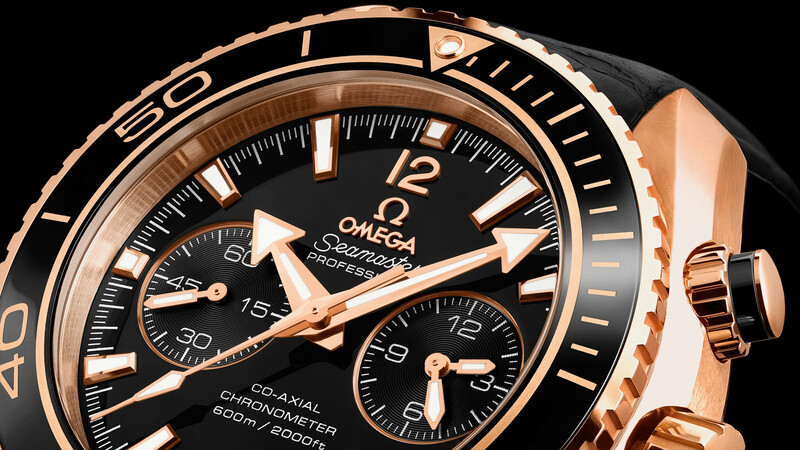 Most remarkable is the black ceramic bezel with its impressive 18K red gold diving scale, created using the world premiere Ceragold™ technology. 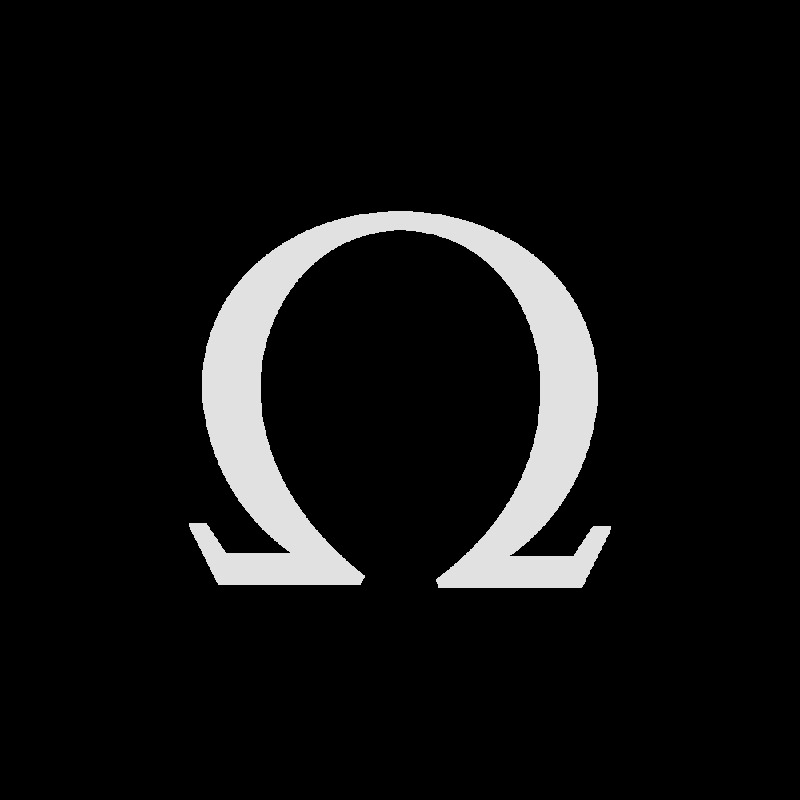 The OMEGA Seamaster Planet Ocean 600M Chronograph is water resistant to 60 bar (600 metres / 2000 feet), and has a helium-escape valve. 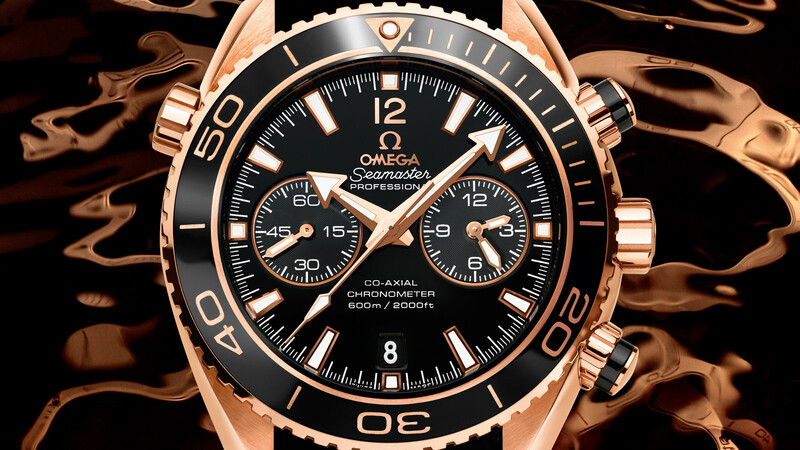 The 45.5 mm 18K red gold case is presented on a black leather strap. 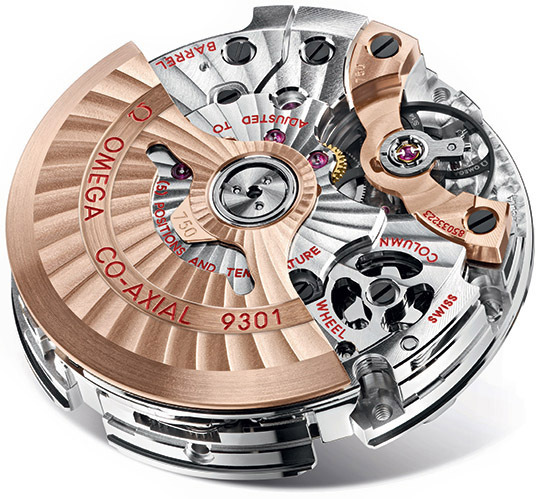 Powering this timepiece is the OMEGA Co-Axial calibre 9301, visible through the transparent caseback.